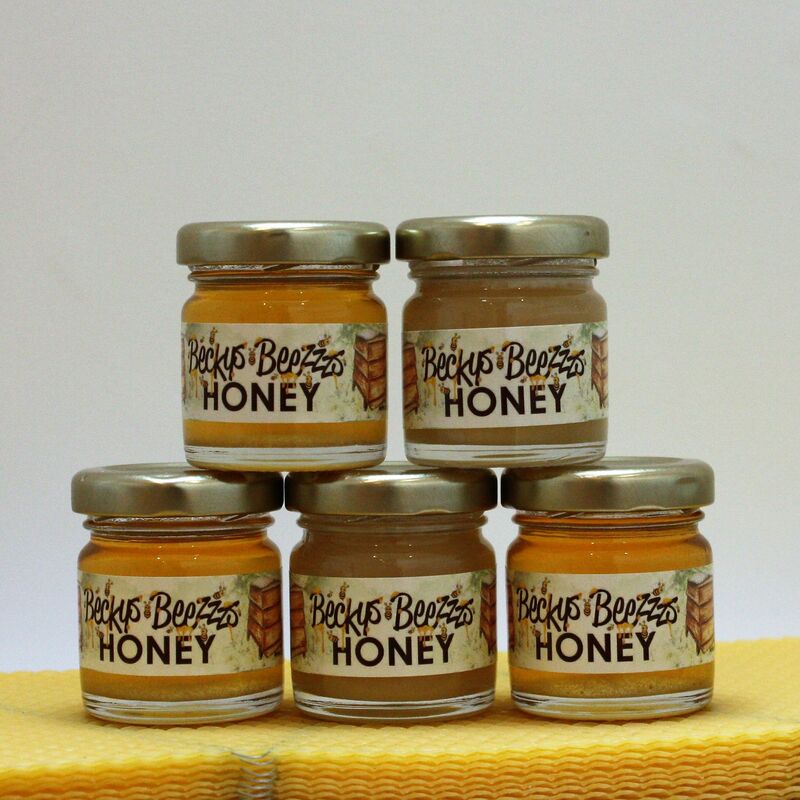 These mini jars hold 1 1/2 oz of honey and they make perfect small gifts for that special occasion. 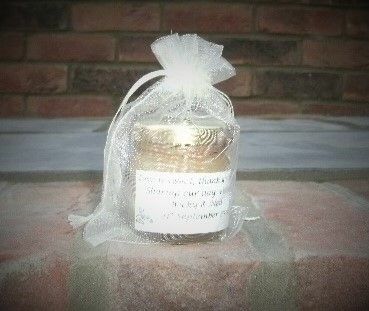 We also supply these as wedding favours. Please contact me for quote for large numbers, I can do alternative labels to suit your colour scheme or supply them unlabelled if preferred. To add that little extra bit I can also offer them in small organza bags.